5 ST JAMES COURT is a full-service set providing expertise and experience in all aspects of Mauritian Law. Chambers is a member of Globalaw, a worldwide network of more than 110 independent law firms with over 4500 lawyers in 165 cities across the world. 5 ST JAMES COURT is a recommended firm on the International Financial Law Review and listed in Chambers and Partners. 5 ST JAMES COURT, the Chambers of Ravindra Chetty, S.C., is a set of Chambers established in 2010, regrouping self-employed barristers who share the same ethics and values. All Members of Chambers are self-employed sole practitioners, but are often instructed together as part of a team. 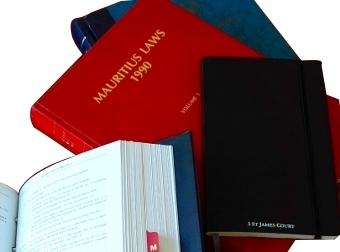 Chambers offers expertise on all aspects of Mauritian Law and undertakes both contentious and non-contentious work. Members of Chambers appear before all jurisdictions in Mauritius, as well as the Judicial Committee of the Privy Council. 5 ST JAMES COURT is a recommended firm on the International Financial Law Review and listed in Chambers and Partners. Chambers is also a member of Globalaw, a worldwide network of more than 110 independent law firms with over 4500 lawyers in 165 cities across the world. Whilst 5 St James Court is predominantly a civil and commercial set, certain members of Chambers will also advise and act in administrative and public law matters, constitutional law matters and criminal matters.